Hey there, everyone! First off....please pardon my delay in getting this post up. It's just been one of those days (months rather), and I was having some Blogger issues as well. Sorry about that! Aren't those SO cute! I paired them with some My Mind's Eye papers & enamel dots....and they were the perfect fit! Beautiful card. I love how you used the velumn. 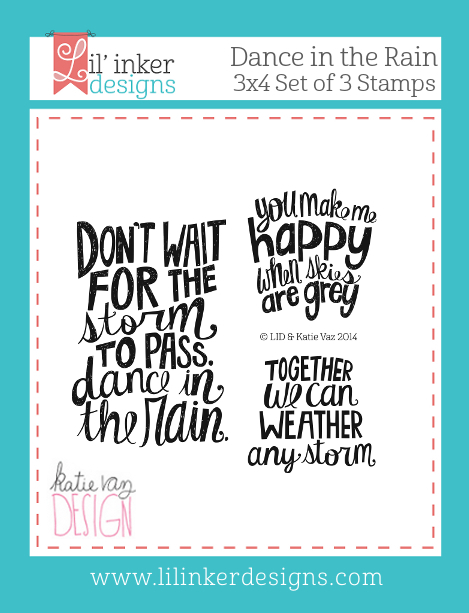 I'm just in love with the Dance in the rain stamps. Awww, very cute card!! I am loving those cute little cards. Heads up Lea there's something amiss with Kristins link. When I clicked on it it said "page not found". I had to go back a few on the list to get a good link to your page. Cute card and love how you echoed the clouds in the background. What a sweet card. 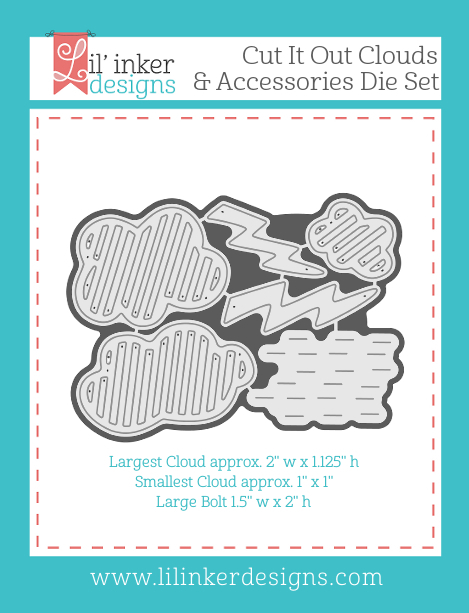 Love the new cloud die & it goes perfectly with your cute designer paper. Thanks! Your patterned paper couldn't be any more perfect for this great card...Love it! Such a great sentiment and the papers are so cute! Adorable card...love the papers, the sentiment and the cute cloud dies. Super cute!! The pattern paper you used was such a great match to the die set! Such a cute card! How cute are these cloud dies?! What a fun card! The designs in the new release are just wonderful. Your card is really fun with the pops of color. It is a great inspiration for how to use the new dies and stamps. Love the colors in this card. So cute! LOVE the vellum - and the pops of pink! Love that cloud die and your papers are a perfect match! Aw! Super cute! Great sentiment set and great card! Darling! Love that sentiment and the cloud die! Great card Lea! Love those cloud dies! Wow Lea - I'll echo the others: seriously, fabulously wonderfully awesome! You and this release = magic! I love the font on the Dance in the Rain set!! Super cute card! Those clouds are so awesome! Love the card! super cute! great paper choices and the colors are gorgeous. The paper dies and stamp are a perfect match. Love the inspirational sentiment. What a great card. Love the funky clouds and the paper you used. The colorful candy dots look great. this is super cute! Love that paper! Love this die set. The paper works perfectly and I love enamel dots! Amazing card! This is so pretty. I love the vellum and how you used the candy dots at the bottom. Such a great card! Lovely card and your choice of background is so perfect! Hope you're having a better day & week now Lea!!! Cute card! Love those clouds!